You can use our shared SSL certificate (hostname.worldssl.net) to support secure connections for free or buy a custom SSL certificate for $600/year/site. 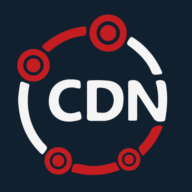 Create a CDN resource. It is not necessary to create a specific record in your DNS editor as we will provide you with the CNAME record i.e. example.r.worldssl.net. Make a note of the CNAME record we generate but do not change any DNS configurations yet. Open up a ticket via help.cdn.net or request an SSL entry through the control panel. This is a Subject Alternative Name (SAN) entry on our GlobalSign certificate and takes approximately 72 hours to order. You will receive a confirmation email once we have received your ticket. Using a text editor such as notepad, you will have to upload a certain message and save the file with a .html extension. This allows us to verify site ownership and is necessary to proceed with the custom SSL certificate order. Upload this file to your root folder via FTP so that your site can be verified. Check "http://[cdndomain].com/globalsign.txt" to confirm. Once you receive confirmation that your custom SSL certificate is ready, you can go ahead and change the DNS records.